Tigris K1 is a multilayer pipe system designed for potable water and heating applications. It is ideally suited for installation on commercial projects such as educational establishments, apartment blocks and hotels. The system comprises multilayer composite pipe and high quality polyphenyl sulphone (PPSU) fittings with a fixed stainless steel sleeve, in sizes 16mm, 20mm, 25mm, 32mm, 40mm, 50mm, 63mm and 75mm. 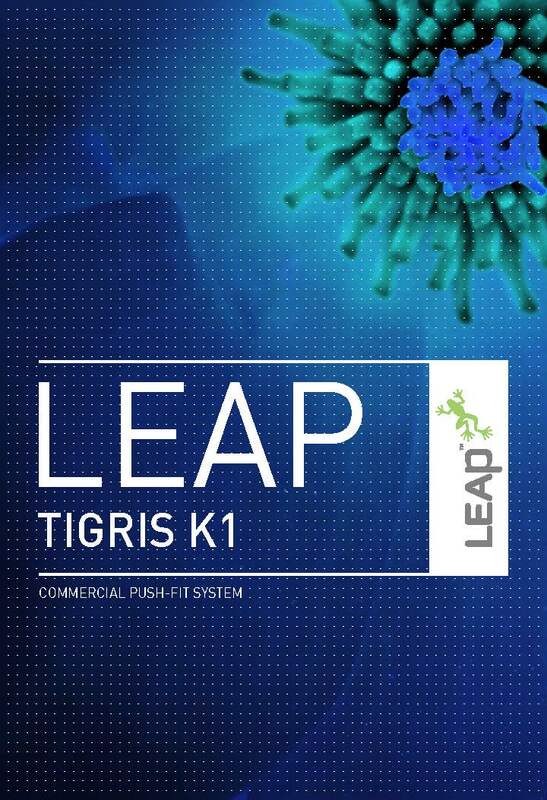 All Tigris K1 components deliver long-term performance and are certified by major European agencies including KIWA and DVGW. The aluminum layer in the pipes reduces thermal expansion, making them comparable to copper. The cross-linked PEXc inner layer makes the pipes flexible. This means fewer connectors, simplifying installation and reducing cost. Simple connectors and a range of dimensions from 16-75 mm make installation fast and efficient. Tigris K1 can be used in multiple development types from hotels to hospitals.